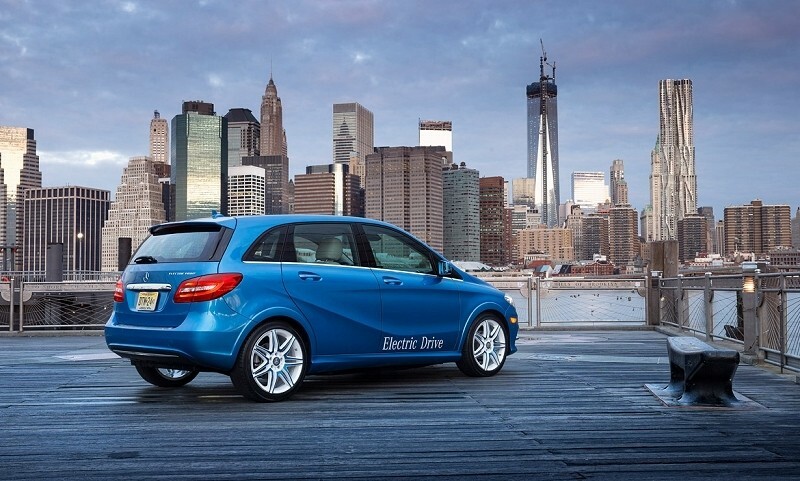 Mercedes-Benz recently partnered with Tesla Motors to help build its new B-Class Electric Drive compact. The vehicle, which debuted this week, is powered by a battery pack developed by Tesla according to a report from Auto World News. The new B-Class Electric Drive features 174 horsepower with an electric driving range of around 100 miles. Mercedes was able to secure the deal through parent company Daimler which just happens to own a small stake in Tesla, the publication noted. Some may think it’s counterproductive for Tesla to lend a helping hand to rival electric vehicle makers but truth be told, supplying batteries to other automakers could prove to be a long-term business for Tesla. That’s because the California-based startup is aiming to build a massive battery-producing plant in the near future. Tesla is said to be eyeing a Southwest state like Arizona, New Mexico, Nevada or Texas for the build. The battery plant will end up being a huge boost to whichever local economy is lucky enough to land the deal. The factory will be capable of turning out around half a million battery packs each year and will employ around 6,500 workers. It’ll be the largest of its kind in the world, we’re told. The compact Mercedes-Benz B-Class Electric Drive will be priced just over $40,000 and will arrive in select regions of the US later this summer before a broader nationwide rollout early next year.